Local Union Information System (LUIS) - Not logged in. Every issue of Solidarity magazine is converted to an electronic version that is posted on uaw.org. It contains the same stories that are in the printed version. What's more, the electronic version is usually available two weeks before the printed version lands in your mailbox. It also has links to videos and additional content. Delegates at the 36th UAW Constitutional Convention recognized that advances in technology make the mandatory mailing of a printed version of Solidarity unnecessary for the vast majority of our members. They overwhelmingly voted to make the printed version available only to members who "opt-in" to receive it. They took this action to save our union the hundreds of thousands of dollars it costs to print and mail the magazine. We understand that some members still like to have an actual hard copy of the magazine to read. To continue to receive one, members can opt-in by checking the box below to receive a printed copy and completing the required information. If you prefer an electronic version of the magazine, check the box below to receive an email notification every time a new issue of Solidarity Magazine becomes available online. I would like to receive notification via Email. On the back cover of the latest Solidarity issue. 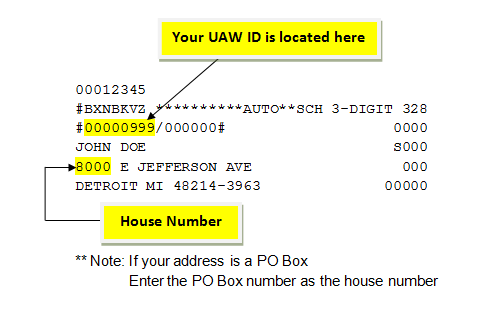 Where can I find my UAW ID? Internet Browser, (IE, Firefox, Chrome etc.) is up to date. and some errors may occur.